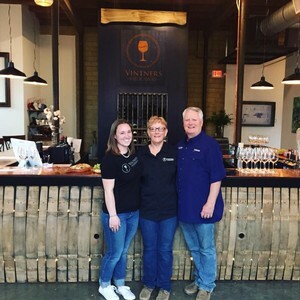 Vintners Hideaway was created to be a wine destination that offers people the opportunity to explore fine Texas Wines in an intimate “non-hurried” atmosphere. 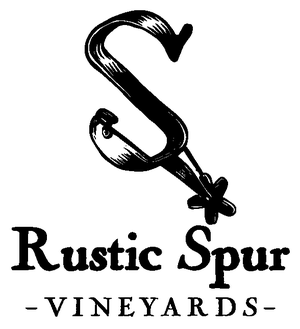 We are the home for Rustic Spur Vineyards’ wines and John Rivenburgh Wines but we also offer a place for winemakers around the great State of Texas to showcase their wines and allow us to share their unique stories and passion for fine Texas wines. Vintners Hideaway has a rigorous evaluation process in place to add new wines to our menu which will help us represent some of the finest wines to be found in this great state. This location was originally built in the 1930’s as a Nash Rambler auto dealership and it then spent several decades as Behrend’s Tire and Auto, but most recently Vierus Automotive. We spent several months repurposing this industrial style automotive shop into an upscale wine tasting room with a very cool vibe. “Wonderfully curated wine selection. Thoughtful and passionate service. Tucked just 1 block off the square you can enjoy and intimate experience often lost on busy Main Street.”…. Ella B. “The owners aren’t just grape growers with years of experience with their hands in the dirt they know their wines! With a variety of whites, rose and reds there is something for everyone’s palettes here! Cozy seating, a beautifully done tasting room and no pressure tasting with a family run business!” …. Beverly K.
“Great assemblage of wines from Texas grown fruit!” …. Scott A. “They have some of the best Texas wines!” … Heather S.
“Great experience here! If you are wine lovers like us but don’t know much about wine and want to expand your palette this is the place to go!” …. Hannah S.
Some may ask about how this Rustic Spur dream came to fruition. Well I guess you could say its’ beginnings were in 1984 when Jim & Ranae married. They both had been raised with a keen awareness of respecting things like: the land, it’s bounty, honest and hard work, and achieving life goals. Over time Jim and Ranae have been honored to receive awards, recognitions and accolades, but they all pale in comparison to the pride they have in raising two of the finest young ladies in Texas. As the youngest was preparing to graduate from high school, the thoughts of having an empty nest grew. They began searching for their next adventure and discussed a dormant dream Ranae had from the late 70’s. Jim & Ranae each had farm and ranch family heritage and a desire to honor that. When Ranae was a teenager she asked her dad, who had spent his lifetime raising cotton, sorghum and sunflowers if he would ever think of planting wine grapes as some were starting to do in the Texas High Plains. His answer was no for a couple of reasons: 1) he did not know how to grow wine grapes 2) he did not care for the taste of wine. With that answer, Ranae’s dream of growing wine grapes did not die, it simply laid dormant for the next thirty years. They began their search for farmland in the Texas hill country near Fredericksburg to begin this adventure they affectionately refer to as their “mid-life” crisis. A parcel of land was purchased that was formerly a peach orchard near Stonewall. In 2013 they planted their first three varietals of wine grapes: Tannat, Souzão and Sémillon. 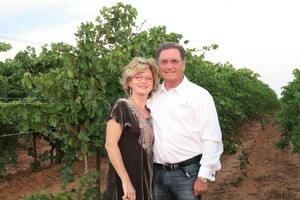 Their first intention was to simply grow and sell some of the finest wine grapes in Texas. At the same time the young grape vines were maturing and growing so was their dream to begin to make and to bottle some of their own wine. Sherah, their youngest daughter, was working on an Agriculture degree and decided that she would like to pursue this passion as well. She completed her undergraduate and master’s degree in Viticulture and Enology. Sherah spends many hours in the vineyard with a watchful eye and they are grateful! Their oldest daughter, Leah and husband Micah, have busy careers and are raising their son Caden. They have beside them from the beginning, helping to prepare the land, followed by the planting of the vines in 2013 and finally, harvest! Leah and Micah have played such an important role in our vineyard reality even from miles away. They thank all who have helped with the success of this family venture. It was Sherah’s love of horses that led them to the name Rustic Spur. One of her cherished possessions is an 85-year-old saddle owned by her great grandpa, “Pawpa Moyer” when he was a ranch cowboy out in Eastern New Mexico. Also passed down to her, a set of spurs from “Pawpa Moyer”, ”Gramps“ and Great Great “Uncle Aubrey”. These rustic relics remind us of the hard work, sweat and toil of a humble family trying to eke out a simple living from farming and ranching. We honor the memory of these rustic cowboys of yesterday that formed the genealogy of Rustic Spur. We honor the contributions of Jim and Ranae’s dads, grandpas, and uncles who have made farming a way of life in the High Plains of Texas. John Rivenburgh has deep roots in Texas, as a fifth generation Texan. He grew up in San Antonio, were he was active in sports, pursued a love of art, built things with his hands, learned to dance elegantly, and developed a wide circle of friends. He started his professional life in construction, and still relies on those skills and experiences, whether he is designing a tasting room or contemplating the structure and foundation of a particular wine. He was one of the founders of Bending Branch Winery, where he championed sustainable and organic practices as an award-winning Texas winemaker, and “keep it simple” as his guiding winemaking principle. John knows the Hill Country’s unforgiving landscape and the state’s relatively young commercial winemaking industry better than just about anyone does. At a time when Texas winemakers were literally building their own equipment because it was not regionally available and too costly to ship from California, John was carving out a name for himself as a pioneer in marrying technology and Old World technique in Texas oenology. His efforts to discover a Texas style—as opposed to imposing an identity on the region by growing more market-friendly varietals—have introduced Tannat, Sagrantino, Souzao, Charbono, and Picpoul Blanc to our local viticulture vernacular. Crusaders eager to raise the profile of Texas wine owe this diversity to his daring and expert cultivation. After almost 10 years at Bending Branch Winery, John struck out in February of 2016 to pursue his own venture. As a consultant, he educates other passionate Hill Country growers in his celebrated methods, establishing more acres poised to produce Real Texas wine. 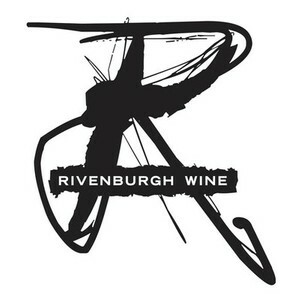 In 2016, he also launched Rivenburgh Wine, a boutique line of limited release, well-crafted wines using varietals suited to the Texas landscape that produce an elegant, balanced tasting experience. Bill was born and raised in agriculture. After a couple of decades cultivating a love for great wine, he and his wife, Gail, purchased land on the Texas High Plains in order to grow the highest-quality grapes in the state. The first vines were lovingly planted in 2011 and the nurturing began. What you may not know is that grapes need to struggle to produce the highest-quality fruit. Without struggle, grapes produce weak, flabby wine. Little did we know we picked the best spot in Texas for our vineyard. Seven years later—after severe drought, devastation by wild animals, record-breaking late freezes, and a massive hail storm—you’re now holding in your hands wine produced from grapes that struggled mightily and triumphed. Just like the early settlers in Texas who fought Indians and invading Mexican armies, we battled some of the worst weather in recorded history. And like the true Texas spirit of this land, we persevered to produce award-winning fruit. Join us in celebrating Texas wine and the spirit of Texas that resolutely overcomes all obstacles. FLY GAP, TEXAS is twelve miles northeast of Mason in northeastern Mason County. The community got its name from an incident involving a band of settlers who were pursuing some Indians as they retreated from a raid somewhere south of the Llano River. The settlers hid in ambush in a gap in the Kothmann Mountains and tied their horses in a nearby thicket. 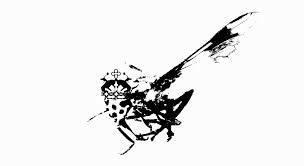 The outcome of the ambush is unknown, but when the men returned to their mounts, they found that the horses had been badly bitten by horseflies, and the spot was consequently named Fly Gap. We are the offspring of these settlers, while we currently source 100% Texas Grown Grapes, our end goal is to grow and make wine in a way that reflects our local culture and to produce wines that embody a sense of place. We are taking a stylistic approach to Wine-Making. Ultimately, we are in search of a Style that encompasses who we are and where we are from. Our wines are unique, and we hope you enjoy.